I’ve been hearing a good deal lately about early return missionaries—Mormon young adults who head out on their mission, only to come home before their assignment (two years for men and 18 months for women) is up. It’s this week’s topic of Rosemary Card’s excellent new podcast q.more, with guest Thomas McConkie; a feature story in LDS Living has just addressed one missionary’s early return in a compassionate way; and rumors are abounding that next month’s General Conference will feature, among other wild announcements (! ), the option that missionaries may be able to serve for shorter periods. The Next Mormons Survey, 2016. Check out how women’s service has grown, more than tripling from the Boomer/Silents (13% of women) to the Millennials (44.5%). What’s more, a strong majority of RMs say they had a positive experience. There’s a lot more about this in the Next Mormons book that’s coming in March, but for our purposes here just know that most missionaries think their mission was a valuable part of their lives, even if they came home early. Keep in mind that the graph above measures early returns against everyone in that generation, not just those who actually served a mission. If we were to look at just that number, fully one-third of Millennial Mormons who went out on a mission came home before their assigned time. Why is this happening? That question, it turns out, is harder to answer than it is to document the fact that it is occurring. My first theory was that this could be related to the lowering of the missionary age requirement in 2012, when it became 19 for women and 18 for men. It made sense that less mature missionaries who might never have lived away from home before would have a harder time adjusting to the stringent, 24/7 demands of mission life. The data doesn’t bear this out, however. When we separate the Millennial generation in half (18- to 26-year-olds and 27- to 36-year-olds), there’s very little difference in the rate of early returns, and what difference does exist actually goes in the other direction. This trend started with the older Millennials, and has largely continued with the younger ones. Only 12% of the respondents came home due to unresolved transgression and 11% for breaking mission rules, which means less than 1/4 of respondents returned early for issues related to transgression. This is noteworthy because many ERMs [early return missionaries] feel like people assume they returned for worthiness issues. They feel stigmatized and ashamed, whether or not there was sin involved. 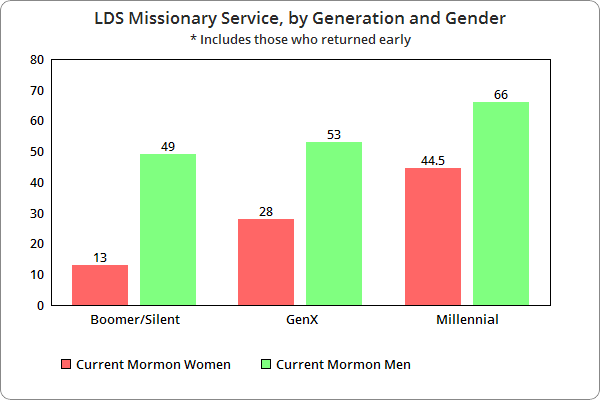 Going back to the Next Mormons Study, one final note about something interesting: the rate of early return is slightly higher among women than it is among men. 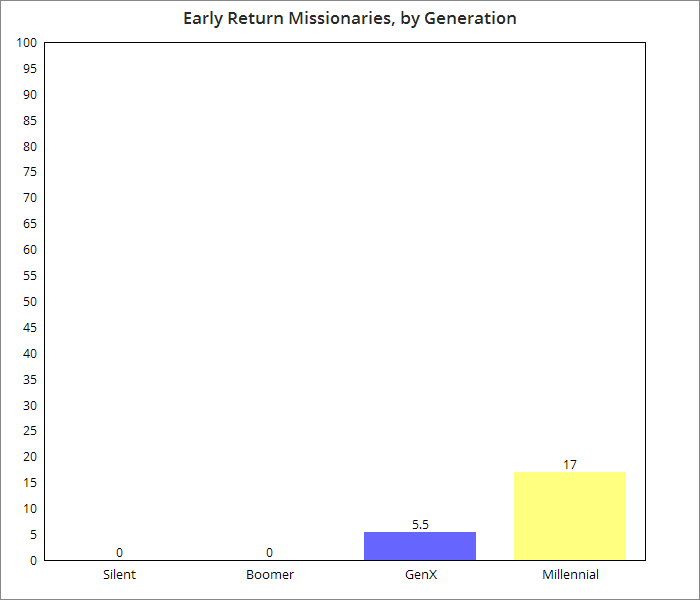 In the Millennial generation, for example, 35% of female missionaries returned early, compared to 29% of male missionaries. This surprised me, because on nearly every measure of belief and practice, Mormon women outstrip men. Women are more faithful in attending church, paying tithing, and reading their scriptures; they also score higher than men on testimony questions by an average of nine points. Perhaps this is the consequence of women being told all their lives that a mission is an option, whereas for men it is an obligation? We can’t tell why from the data. What is clear is that early returns are on the rise for both men and women, which is something that Mormon culture needs to learn to deal with in a more loving and responsible way. I wonder whether the Millennial generation missionaries reported higher rates of mental or physical health issues, compared to missionaries of other generations. Why the gender differentials? 18/24 months – 19/18 years old. Often women are brought up in religious households to feel inferior/subservient to men. Could it be that exposure to societies where gender inequality is lesser causes more dissatisfaction with their lot – leading to more early returns? “The most common reasons given were: Mental health (36%)….” Perhaps the dissonance encountered between dogma and reality. The Bishop would set the tone for the reception received by an ERM from their ward. Shame on them for failing in their ministry of shepherding their flock and seeking the lost lamb! As well as priesthood and relief society leaders and the home visitors from each group. It very much puts the lie to the Gospel according to the LDS Church. Now that was a good article Jana. You’ve shown stat’s and haven’t drawn a solid conclusion based on personal bias. There’s a subtle lesson about this subject in the book of Acts. The stern resolution of the apostles in one account begins ever so briefly in Acts 13:13 . We see a young man who had said he would accompany Paul on his missionary labor to the gentiles, turn and mysteriously depart for some unknown reason. Look it up Acts 13:13 . But then jump ahead to Acts 15:37-39 and you see the reason for his departure from the mission field in Paul’s literal annoyance with the young man. Paul doesn’t want what he sees as a young foolish man with a wishy-washy testimony, to accompany him in the field. Our latter day apostles never encourage people to simply leave the work but rather to work through their doubts and learn to trust in the Lord but you can see that Paul was a bit umm, annoyed with the young man and perhaps even unforgiving of the young man. Paul was just that kind of man- he was fierce in his persecution of the Christians initially and then he was fierce in his pursuit of following Christ. Maybe just maybe, Paul also had some guilt resting on his shoulder for causing some Christians to die at the sword? To me I read this tiny little story in Acts and I see the challenge of leadership- I see a leader being more committed to the cause and then his absolute frustration with those who aren’t so committed. This bubbles to the surface and Paul just lets it all out. Hmm, a question for us to consider: If it were Christ setting out on the mission to the gentiles and a young volunteer decided to quit and return home, what would Christ say to him ? Quit and return home is a small part of the reasons that the article covers. Someone who returns home for mental or physical health reasons isn’t quitting in my book. And someone sent home for transgression would already stand convicted before Christ and should they ask forgiveness with a contrite heart, the Christ I know would forgive them. As for those who just give up and return home, if the Gospel is to be believed, Jesus answers your question in Luke 9, starting with verse 57. 57) And it came to pass, that, as they went in the way, a certain man said unto him, Lord, I will follow thee whithersoever thou goest. 58) And Jesus said unto him, Foxes have holes, and birds of the air have nests; but the Son of man hath not where to lay his head. 59) And he said unto another, Follow me. But he said, Lord, suffer me first to go and bury my father. 60) Jesus said unto him, Let the dead bury their dead: but go thou and preach the kingdom of God. 61) And another also said, Lord, I will follow thee; but let me first go bid them farewell, which are at home at my house. 62) And Jesus said unto him, No man, having put his hand to the plough, and looking back, is fit for the kingdom of God. Yeah but remember that looking back there is yearning for it- the same language is used in the old testament to describe Lot’s wife who looked back to Soddom. The young man came back to try again but Paul was still angry from the way the young man had just quit before. I think Christ would have welcomed the young man back but, he would have rightly given authority to lead to someone more umm, devoted to the cause. Now you mention the article having focus on the mental health and health of missionaries which is fair enough but I would say that *It’s not the dog in the fight but the fight in the dog*. I think a woman looking for an eternal companion would be more impressed with a man who had persisted on his mission through difficulties than with a man who had chosen to come home early. Maybe I’m wrong as I’m not a woman. Paul was stoned for his beliefs and yet the fight in the dog saw him continue on with the work. As to those who go on missions with transgressions over their heads, well, they were wrong in accepting the call in the first place and shouldn’t have put their papers in. A friend in my little branch here in rural New South Wales went on a mission to Auckland NZ a few years back and he had this American companion who was getting more and more communications with his former girlfriend back home in the USA. And the reason the girlfriend was frantically contacting him and begging him to call her? Well, she was pregnant- she got pregnant by that same young man before he went on his mission. HE SHOULD NEVER HAVE LIED through the mission worthiness interviews with his bishop/stake pres’ to begin with. He wasted the Lord’s money -the widow’s mite, which came from the donations of others- in the airfare to send him to NZ. I get that there’s pressure to go on a mission and that helps focus one’s eye on the reason we’re here but, you don’t lie about your actions. But if that were the reason it doesn’t account for the increase in returns. People were probably even less exposed to the outside world back then. I think if that were a large issue it would have come up in these studies. The reason for the longer time is it’s a priesthood duty for men, optional for women. I’m not sure I’d the data reflects this but I think the number who go home out of “dissatisfaction”, whichever the reason, is very very smal. I think “they just don’t make ‘me like they used to”. I watched sooo many fellow missionaries go home and I think in most cases it was just an incapility to face the demands of a mission. I would maybe describe it as a lack of fortitude. Many start to have strange health problems that just disappear as soon as they get home, which I believe to be caused by anxiety. The unofficial age of adulthood continues to creep upward, with people living at home later and later. Mental health is in decline across the board. It would be interesting to compare with data of similar programs, like the armed forces maybe. Mental health is the largest element stated (36%) with physical health (which we know is less robust if the head is not at ease) second at 34%. The article says that no such detail was requested – how would it have “come up”? What do think causes the anxiety? Well, they gave the four main reasons and it wasn’t among them. I think you’ve been very thoughtful in hypothesizing various causes, but to me (having experienced it) it seems really obvious. The mission is a very high-pressure situation. It’s something the missionary has anticipated their whole life, so they’re anxious about to begin with. Most of the time it’s their first time living away from home, so they have to care for themselves for the first time. On top of that, they’re thrown into a new culture and more often than not must learn a new language, all while meeting the demands of a schedule that starts at 8 and goes until 9-10 PM. (I usually finished my work as a missionary about 10PM) There pressure to perform too, you keep track of how many people you meet with and constantly try your best to increase it to make the most of your time. You also spend 24/7 with someone who’s usually from another country. It was hard for me to get along with Mexican guys withs backgrounds so different than mine. We saw things so differently and disagreed a lot. Comforting family and friends, habits like watching tv, playing sports and surfing the web are gone and comfort food you’re used to might not even be available. You work with a new group of people and a new congregation that expect a lot of you. They expect you to work hard and be happy, all the time and be obedient to the rules. One thing that put a lot of pressure on me personally was just the diversity of beliefs that I ran in to. There was so much to think about when it came to understanding how our doctrine fits into the world. I met people with ideas I’d never heard of that I had to assimilate. Off the top of my had I can think of several friends family and acquaintances who were absolutely crippled upon arriving in the mission. They could barely function due to a combination of anxiety and health issues. As soon as they get home *boom* it goes away and they function normally (and stay active in the church too I might add). One case comes to mind where a missionary had terrible stomach aches and bloody stool that wouldn’t stop, all sorts of tests and the doctors turned up nothing. Thanks. Although I’m a humanist these days I grew up in a very religious household/environment – I was probably 12 before I seriously realised that not all unbelievers (meaning non-Christians) lived in third world countries! It would have been devastating to discover this in a foreign country whilst effectively removed from normal familial contact – and I’m not generally regarded as “soft”. Sounds very like a high-stress sales job (I spent 12 years on the same patch with D+B in the 80s/90s). Frankly no-one is going to find such a situation comfortable and some are going to be unable to take the pressure – even that part of it which is effectively self-generated by the desire to succeed for God. It seems to me that the “mission” may have evolved, accidentally or deliberately, as a rite-of-passage/rank-thinning process. All groups believe, perhaps correctly, that they are as strong as their weakest member – does your knowledge suggest that there is a weed-out-the-weak effect from the mission practice. I’ve read somewhere that 1 in 3 who undertake a mission leave the LDS within five years of their return. The reference to psychosomatic problems makes me wonder if such situations are more prevalent amongst religious believers rather than unbelievers – after all, truth aside, the requirement to accept life-changing belief without evidence is not something everyone can do – whatever the pressures to do so. Are such “resisters” less likely to suffer with “imaginary” conditions? Weed the weak out of missions or weed them out of the church? I wouldn’t characterize it as “weeding” but they do counsel people to go home who are having serious enough issues. Mainly because it doesn’t do that person or the church or anyone else any good to have them there if things aren’t working out. As far as taking them from the church, I don’t think so. Missions are seen as a duty for men but aren’t mandatory. You can skip over a mission and be in good standing. I would definitely say it’s “rite of passage” though and many women hope to marry a returned missionary. But I don’t equate that to a “thinning”. I believe, for the Sisters, it is a lack of assertiveness / low self-esteem issue that manifests itself in a variety of outcomes, e.g. stress, depression, anxiety and physical health issues. Life in a third world country is not an evening at mutual. There’s a new book out for missionaries who return early and it’s excellent! It’s called Early Homecoming: A Resource for Early-Returned Missionaries, their Church Leaders, and Family. The author really goes deep into each reason why a missionaries come home early and offers great advice. Maybe part of the mental health issues bit is they are facing an increasingly educated public they are trying to reach! A public that isn’t as receptive to their message! AND that is the mental health, cognitive dissonance problem they face! D+B – when I worked for them they were the 83rd(?) largest employer in the world. Part of their mythology was that everyone in the US knows D+B – and I sort of assumed you to be American. Google can give you more but I doubt today’s D+B is much like the company I worked for (in the UK) through the 1980s and early 1990s. That might, or might not, be a good thing! Of course they are coming home in droves; today’s 18 year olds have the mentality of yesterday’s 12 year olds. They have not been allowed to do anything for themselves so much so that they now can’t, they have a room full of participation medals, they have all been told they are extra special just because they exist, not because of anything they have done, everyone makes the team, whether you actually have talent in that sport or not; they have been coddled, sheltered and hovered over. We are raising a generation who thinks life is easy and everything should be handed to them. The first time someone tells them “no” is likely to occur in the mission field; and then their world comes crashing down on them. I’m late joining this discussion but felt the need to make a contribution. When I graduated from High School in 1957, the government was still conducting the draft prompting me to join US Army for six months active duty to avoid being drafted. That was pivotal. It taught me self reliance and prepared me for college. I accepted a mission call when I turned 19 and was sent to serve a great mission in Brazil. If I hadn’t first experienced the rigors of 6 months of Army training, I would have never succeeded successfully as a missionary nor as a successful college graduate. BTW, being a missionary in rural Brazil wasn’t a cake walk but I LOVED MY MISSION. I served 30 years ago in the don’t come home but in a coffin. It became so bad, that the Church brought me back to Provo and locked me up in a metal hospital. I was assigned to another mission, but only lasted one night, before they sent me home. I spent two months at home, and then returned to my second mission again. This time I lasted 5 more months, 15 in all. I had good days and bad, but mostly bad. No one to talk to. I kept it all to myself, I was SO scared of being sent home – which was a fate I compared to death. I was give some counseling out in the field, I did some crazy things crying out for “help,” which only scared me more that I would be “sent home.” I think the only thing that kept me out was because my father knew the mission president, so the president was willing to overlook my “cries for help” – like a time I tried running away. To be honest these were the worst months of my life. It was total hell! I was a good missionary. I worked. I gave it my all, to the point that it almost took my life, which was were it was all leading to, thus they looked me up. It was the biggest learning experience of my life. It taught me so much, but I would never want to do it again. So when I had a son leave on a mission about two years ago, you can only imagine how I felt. Well it runs in the family. He too had problems and came home from the MTC after about five week. If you want to come home just tell them you are having suicidal thought and to home you go! They do not work with you anymore. Me they kept until I was about to kill myself, my son they just sent home (“snap”) just like that. Maybe it was good. I to had difficulties in the MTC and thought it would get better once in the mission field. I can tell you it doesn’t, it only gets worse. A mission can be the best thin in your life or the worst. On thing is for sure it follows you the rest of your life, I’m not sure you ever “really” get over it. I hurt for my son. Most ERM’s come home and hide for days and weeks. You want to die, I even prayed and prayed I would out in the field. I wish the Church would make some BIG changes in missions. Serve for one year not two. Two years is forever when you are depressed and only see “hell” for the next two years. I was sent home for good when I wrote telling my mission president that I knew what Hell or Outer Darkness felt like, as it couldn’t be worse that how I felt on a mission. I was put on anti-depressant medication. Back then there were no warnings on the labels that young adults shouldn’t be taking them, or watched closely. Prozac was later called the teenage suicide pill, and that’s what I was on. Sorry to scare anyone. At church you are only told the “good/positive” about missions, I think more parents and youth should know the bad also, that way they can make informed discussions, as this is billed as the most important event in a young LDS youths life, he/she has been groomed for this for 18-19 years, and if it doesn’t go good, it can easily do SO much harm to their life. So many more things I would like to say, it would take a book. I also never speak of these things, and that is one of the problems or once was. It is like coming home from war. You have PTSD that can last for years. Just was the soldier doesn’t want to talk about it, so to the missionary to. If you have a son or daughter who has come home early, give them time, they may not want to “talk about it,” like you would maybe like them to. I never talked one word about my mission to my wife until we were married for two years I was so scared of what she would think of me. So sad. She was the only way I got better. I was lucky in that I found her soon, and we were married one year after I came home. You don’t know what you are talking about. One day you will understand, one day. Read my personal story I posted in the comments. In some ways the church has “learned” from the past. You almost never heard of missionaries coming home early 30+ years ago, because they tried to keep you out even if it might kill you, only when it got to that point did “they” do something. My they looked me up. There were other missionaries also locked up in a mental ward. These are the stories of those who went before you could come home early. For me it was truly a life and death experience. “We” don’t like to talk about it, “we” knew it was not except-able to do so. Too much shame and guilt. Yes, I’m still active, I’m not hear to pick a fight. 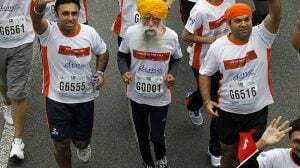 I am one of those “silent” generation – boomers spoken about in the article. I severed 15 months 1990-1991. I’m glad you loved your mission. I spent 4 months doing a study abroad program, and had no problems, I loved my time “over sea,” yet I came home and went on a mission and 30+ years later still have PTSD. Agree to much of this. I teach school (23 years), so I work with these kids daily. Today it’s easier to come home, back in my day it was not, and it was also NEVER talked about, there was a mass cover-up. Thankfully today’s youth will not have my experience as the church learned from the past to not “push” it to the point of no return. 70% of the youth were inactive by age 21, that is why they lowered the age. My son recently returned early, and is now inactive. 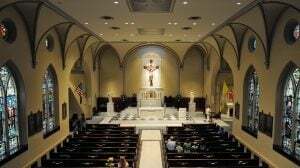 What is the church doing to our kids? But if you know you can’t come home without shame and guilt you try and stay, sadly that came make it worse. Coming home is much harder than staying and I bear testimony to that. Hardest thing I ever did. Many ERM’s wish they where dead. I can take week, months, even years to get over the PTSD. I’m glad Christ is the judge, and not Paul. Could it be that Paul had a death wish and anyone who didn’t measure up to his standards was “not worth?” Only Christ can see into the heart. Christ might just say, well done though good and faithful servant, and tell Paul, “my friend you still need some learning and growing before your reward. I think the 18/19 ages are to have both the young men and women coming home the same age 20 1/2. They can then date each other being the same age. It’s called situational depression. Look it up. It’s like being in a war, it can only get better when you are not in war. My son came home early. No more church. Sounds logical to me.